For Christmas (2015), I gave Josh 12 envelopes, containing an idea for 1 date a month. We did not make it out on every every date, some months we were simply too busy and other months we had something else come up and we subbed in the new option. I thought I would share the ideas I came up with in case you’re looking for some new adventures/ideas. 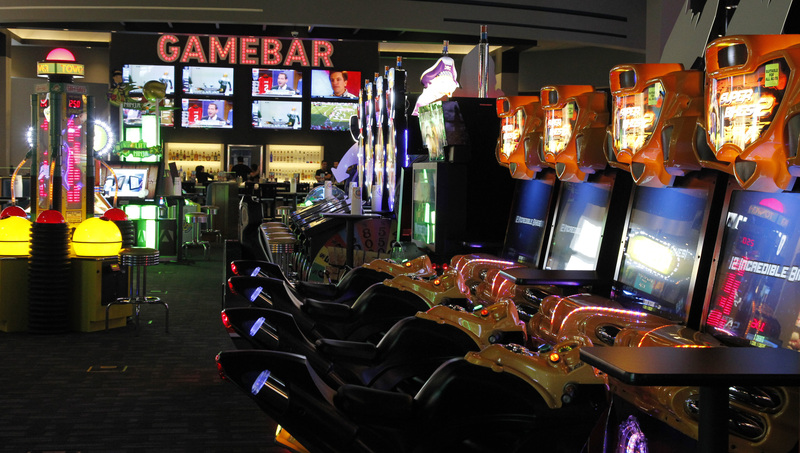 If you’re looking for a fun (competitive) night, Dave and Buster’s won’t disappoint. I felt like a kid again (and we were kinda sore the next day). It’s a big arcade/restaurant/bar (all ages welcome except at the bar). They have a pretty large variety of games to choose from (basketball, air hockey, old school bowling, shooting, driving, etc). It was fun to be just let loose and be a kid again. The food was pretty good too, we ate off the appetizer menu because we weren’t starving and we had a couple of adult beverages. I would go back, but I wouldn’t make it an every month kind of thing. I realize everyone goes to Starbucks all the time. I love to go to coffee shops and just relax (without a Henry or Peyton needing me to do something). The plan for this date was to take some games (quieter ones, played one on one) and relax with some drinks. Josh and I play games together a lot (obviously, Dave and Busters was a good choice for us). If you need some game ideas for 2 players check out: Qwirkle, Rummikub and Pandemic. I’ve lived in Indy for 10 years now and the only monument I’ve ever been in/explored is the Soldiers and Sailors on the circle. It’s embarrassing! There are so many to look at and in my opinion kind of a shame not to go check them out. Indy has more acreage for monutments than any other city in the U.S. (aside from Washington D.C. ). 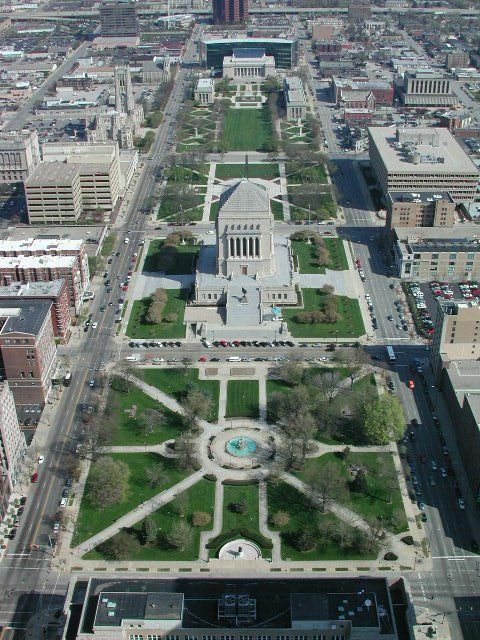 Be sure to check out: Indiana World War Memorial, University Park, American Legion Mall and the Vietnam and Korean Memorials. There are more, to see a full list go here. If you need ideas for places to eat, I would suggest Bru Burger (delicious burgers!) or The Eagle (delicious fried chicken and southern style cooking) on Mass Ave.
Fountain Square is a cool area that seems to keep getting better. They offer Duckpin Bowling at The Fountain Square Theater Building, which is basically miniature bowling. There are also a couple good restaurants to check out. We love Siam Square (Thai) and there is a yummy diner called Peppy’s Grill. 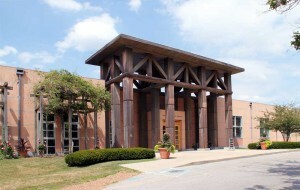 The Indianapolis Art Center offers pop up art classes all of the time. There are different classes (paper weight making, wood working, painting, pottery, etc). You can sign up and show up and you’re in! If it’s warm out, take a walk around outside of the center. There are a lot of great art installations to check out. It’s pretty peaceful too. The center is right near Broad Ripple, lots of great food options! I suggest Thai Cafe or Bazbeaux’s Pizza. Check out BRICS if you need some yummy ice cream for dessert! 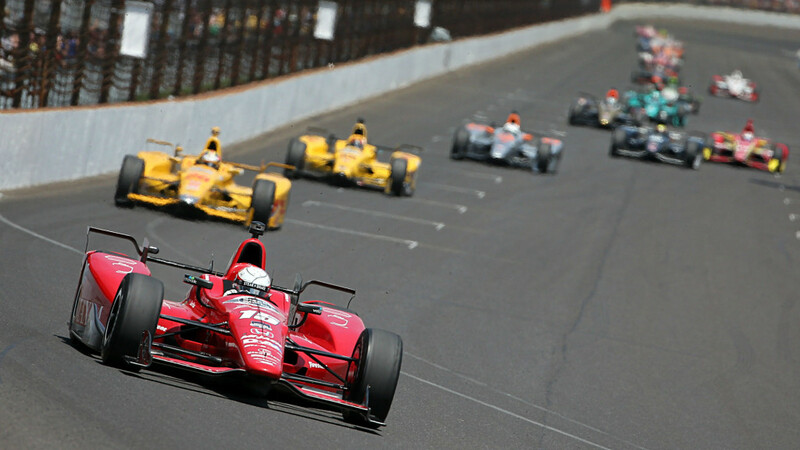 Carb Day is the Friday before the Indy 500 at Indianapolis Motor Speedway . It’s a fun day filled with practices for the big race and smaller races with other drivers. You can also catch a band or two (and a lot of drunk people) if you stick around. It’s a fun day that should be experienced at least once. We used to take a yearly trip over to Turkey Run State Park to kayak, if you ever get a chance to you should. It’s absolutely beautiful there, you get to go under multiple covered bridges and the trees along the river are stunning. We found a place called White River Canoe Co., where we can kayak closer to home (and there is at least one covered bridge!) We didn’t get to go on this date, but our plan was to go on an hour or two trip and then to hit up an ice cream parlor/diner in Noblesville called Alexander’s on the Square. 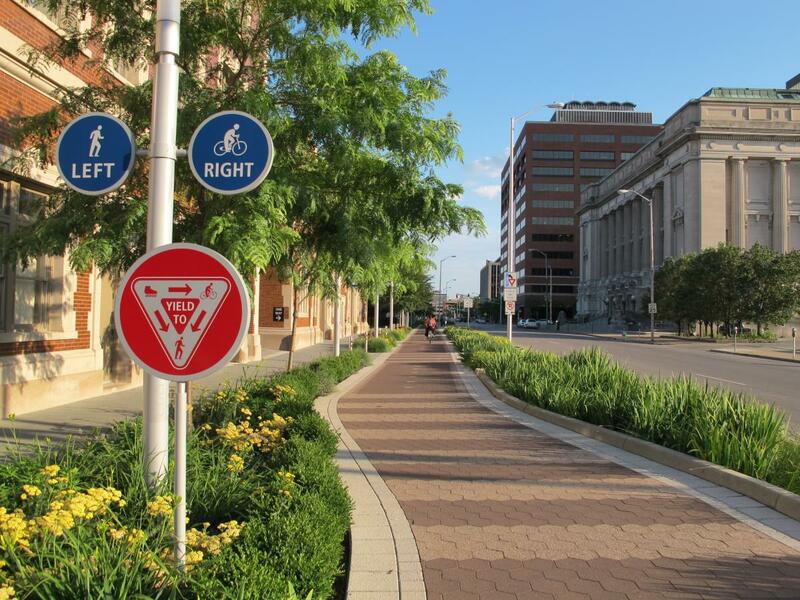 Indy’s Cultural Trail is an 8 mile trail for bikes or pedestrians that goes through downtown Indy. 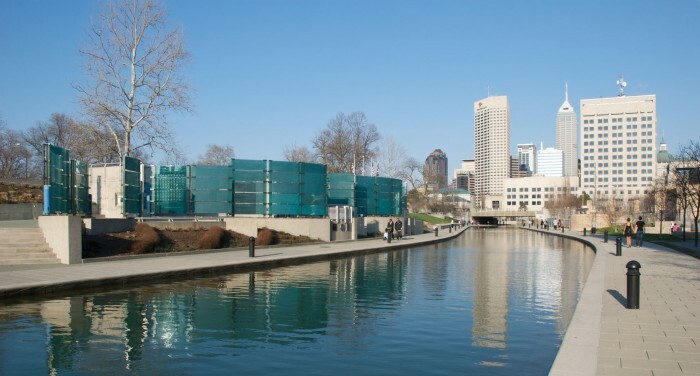 Along the trail you’ll get a good glimpse of all Indy has to offer, from local shops and restaurants, to art installations pieces to the great landscapes around downtown. 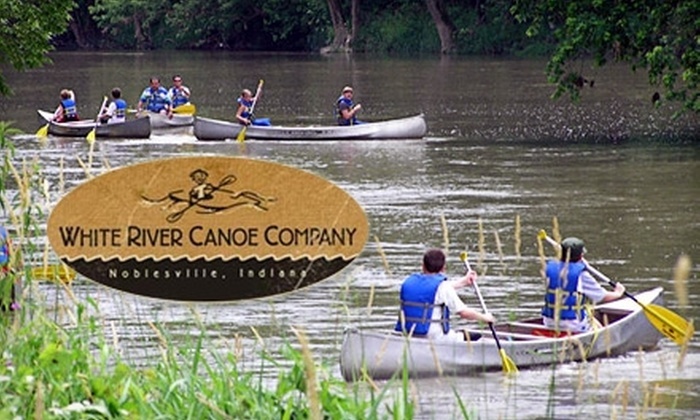 It’s a great way to get outside and explore parts of Indy you may not normally see. If you like a good clean laugh, Comedy Sportz is a great place to check out. What makes it even better is it’s improv! So you never know quite what you’ll get. We didn’t make this date but I have been once in the past and I was pleasantly surprised how funny it was! Be careful, you may become part of the show! They have a small menus (burgers, hotdogs, etc) if you need a bite to eat. They offer improv classes too if you’re brave enough to jump in! My husband and I love to be outside! And we love to eat. A simple, cheap date: picnic, walking or hiking. The downtown canal is a great place to walk around. There are a lot of new art pieces to check out and if you want you can take a gondola ride or paddle boat up and down the canal. If you do the gondola ride, be prepared for your driver to serenade you! The canal is also a great place to picnic. If you’re looking for a good hike, you can can check out the trails at Fort Ben, just to the East of downtown or Eagle Creek to the west of downtown. 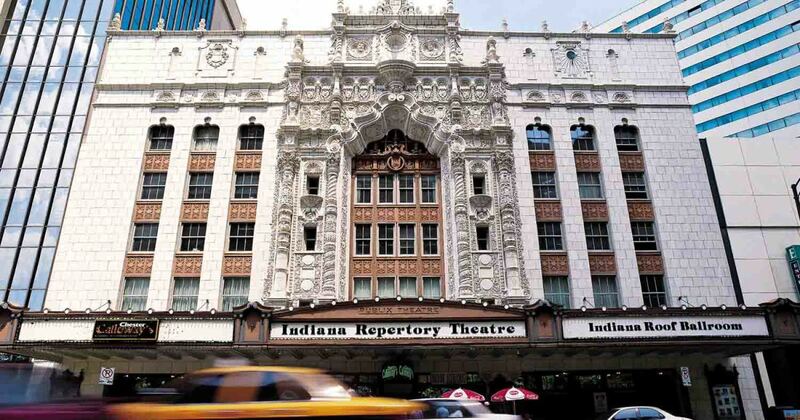 Every year, when the holiday season hits you can catch a live version of The Christmas Carol at the Indianapolis Repertory Theater. We also didn’t make this date but I have it on good authority that it’s a great show and it really puts you in the Christmas spirit. The IRT offer shows throughout the year. The theater is visually stunning, a great old building in downtown Indy. If you want to get a great dinner before or after I suggest you check out St. Elmo’s Steakhouse. 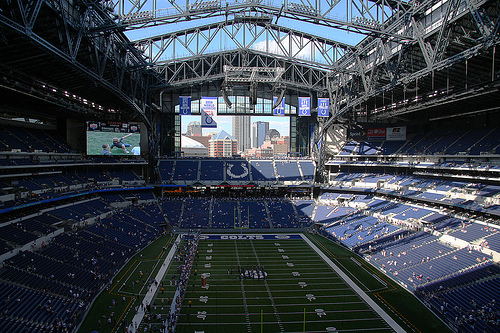 You would be remiss to not go on a date to a sporting event, Indy has so many to offer (some I am not even mentioning!). I can attest to how much fun Colts, Pacers and Indian’s games are. Truly a great time. Often times you can find cheap tickets if you know where to look. Each stadium offers a great experience. In the summertime, the Indians offer special nights throughout the week, sometimes there are specials on food or you can meet the players. A newer team to Indy is our soccer team, Indy Eleven. We haven’t been but I’ve heard good things about the experience. This isn’t even half of what Indy has to offer, but if you’re looking for a fun night, you don’t have to look far.